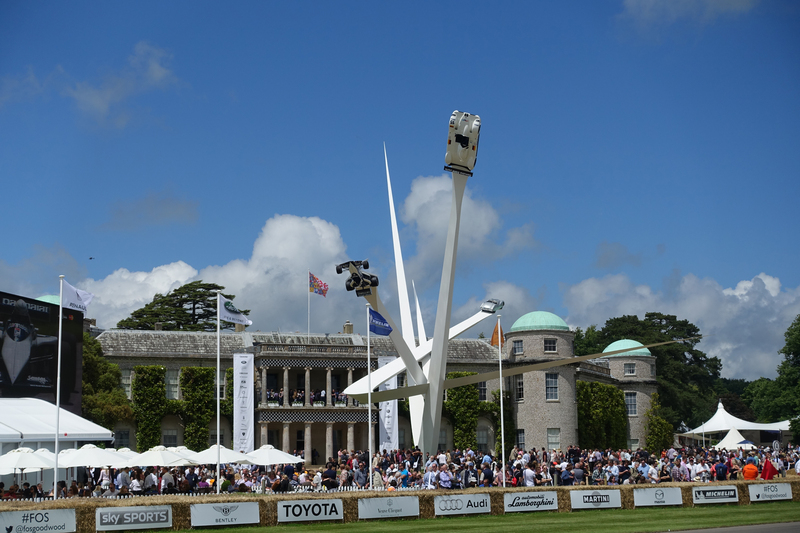 The 2016 Goodwood Festival of Speed once again played host to many of the biggest names in motorsport. An extraordinary display of automotive design and excellence, dating from the early 1900s to the present day, sped up the now famous Goodwood Festival of Speed hill climb. 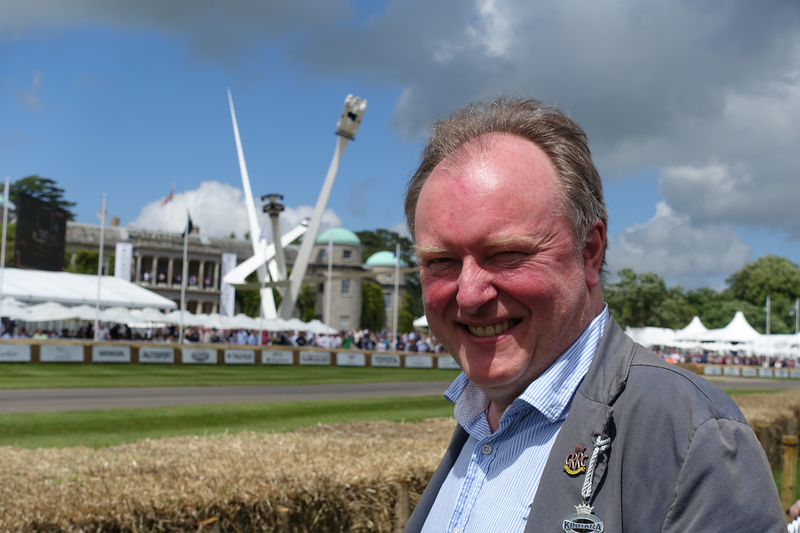 Last weekend I joined Shipley Arts Festival Director, Andrew Bernardi, at the 2016 Goodwood Festival of Speed. As many of you will know Andrew is as passionate about cars and motorsport as he is about music. A longstanding member of the GRRC, Goodwood Road Racing Club, there was much to delight his senses in this annual spectacle. This year the 100th anniversary of BMW was celebrated. German rivals and Le Mans winners, Porsche, were also much in evidence, as were Mercedes, with Formula One drivers Lewis Hamilton and Nico Rosberg attending this exceptional Sussex celebration of motorsport. Rolls Royce, McLaren, Jaguar and Bentley were amongst the stars of the British contingent moving at pace up this celebrated climb. One of the highlights for me was Nick Mason’s spirited drive in the revolutionary 1936, 6.0 litre supercharged V16 Auto Union Type C. He is highly regarded not only as Pink Floyd’s drummer but also as a true connoisseur of racing and sports cars. Based here in Sussex, Nick is no stranger to the race track having competed at Le Mans on numerous occasions. The car’s extraordinary torque and 500bhp can spin the wheels at 100mph and presented him with a wonderful driving opportunity. 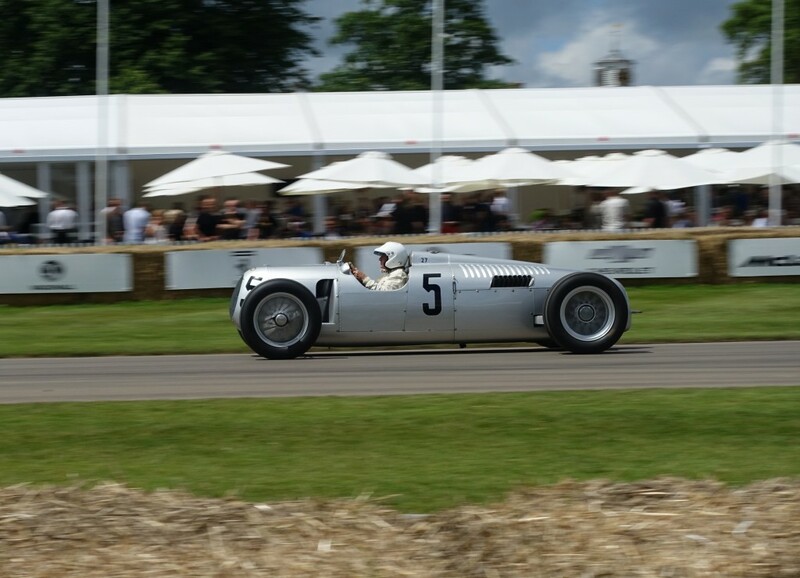 The Auto Union’s outing at Goodwood marked 80 years since this car first appeared at Shelsey Walsh and Donnington. Another anniversary was being celebrated by Ford. No one could have dared to dream that Ford would return to Le Mans in 2016, 50 years after the incredible GT40 Le Mans win in 1966, and take a class win. 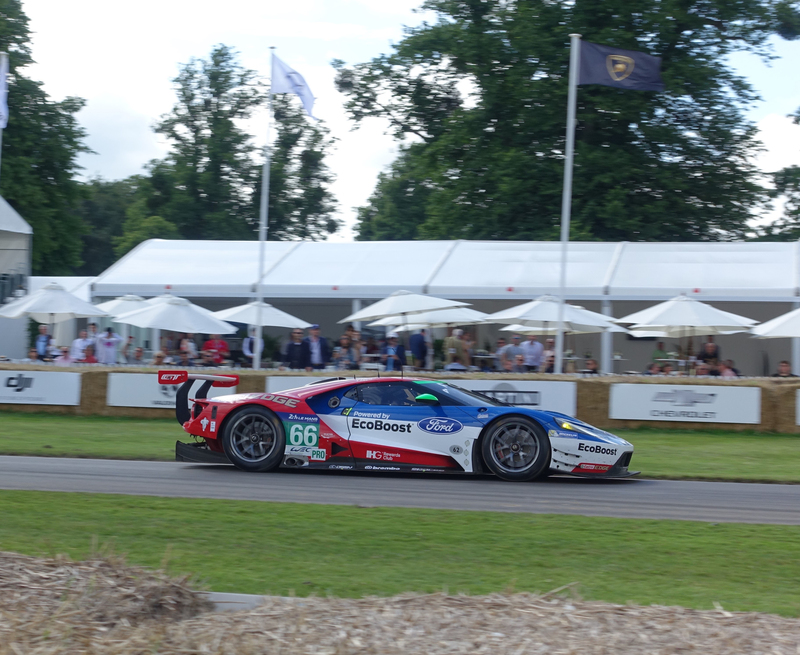 Marino Franchitti drove for Ford at Le Mans this year and took the wheel at Goodwood of a Ford GTE LM on the Goodwood hill climb. Although the new car bears some family resemblance to the GT40 its revolutionary aerodynamics, carbon-fibre monocoque design and twin turbo engine defines it very much as a car of the 21st century. The weekend had the atmosphere of a huge motoring party. As the reverberation and exuberant sound of racing cars and bikes at Goodwood Festival of Speed ended the cacophony of sound, the smell of racing oil and tyres and the spectacle of speed and colour fades to memory and thoughts turn to the evocative 2016 Goodwood Revival. This year’s three-day event will be held on the 9th -11th September. The Goodwood Revival celebrates the halcyon days of motor racing with the accompanying glamour of the 1940s, ’50s and ’60s. For more information or to buy tickets visit www.goodwood.com. Over the centuries people have journeyed along ancient Sussex lanes in the shadow of the Downs. 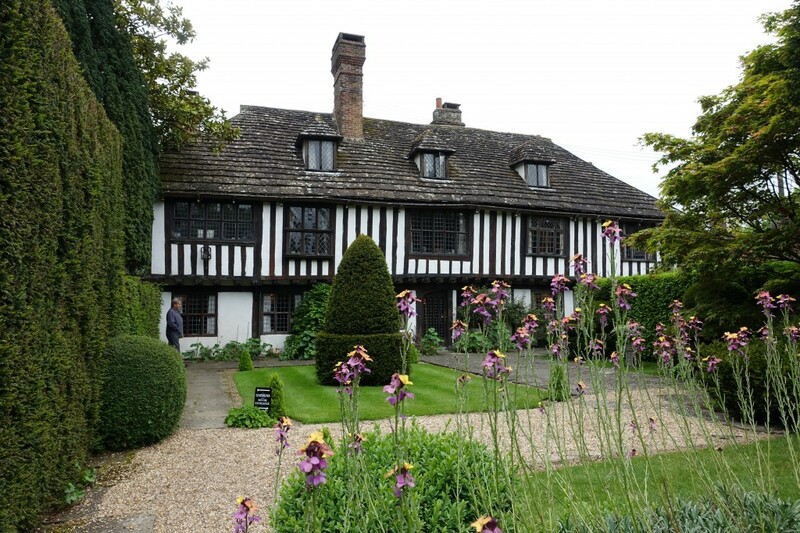 These Pilgrim routes brought people to the important bridge at Bramber and to St Mary’s House and Gardens which still welcomes visitors today. In Saxon and medieval times Steyning was an important port. The Adur estuary was much wider than it is today. In the late 11th century William de Braose had built the castle at Bramber to protect the estuary and town. A great stone bridge, now lost, crossed the Adur. It was built with a chapel upon it. The Priory at Sele had responsibility for its upkeep and repair. 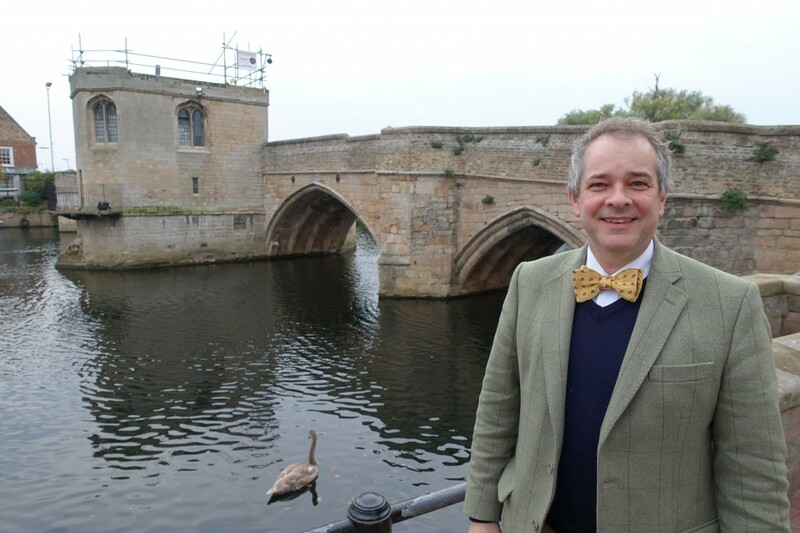 The bridge at St Ives in Cambridgeshire was built in the 1420s. With its bridge chapel it allows us to glimpse what the bridge at Bramber may have looked like. The bridge at Bramber would have brought pilgrims to St Mary’s House. In those days this Hospitalier house would have provided rest and accommodation to travellers. The rooms were arranged around an enclosed courtyard. Visitors today can still see the east wing with its rare interiors, painted panels and collections. The house is a good example of the use of jettying. Technically and aesthetically it marked a significant development in vernacular architecture. The use of close set vertical timbers is known as close studding. 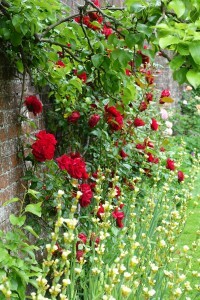 This decorative type of construction became widespread in Sussex in the 15th century. Thanks to the generosity of Peter Thorogood, who bought St Mary’s House in 1984, and Roger Linton, the house and gardens still offer great hospitality. They have spent more than 30 years conserving this remarkable house and creating a series of gardens. From the time of the Roman Emperor, Constantine, roses have been associated with the veneration of Jesus Christ’s mother, the Blessed Virgin Mary, after whom St Mary’s house is named. 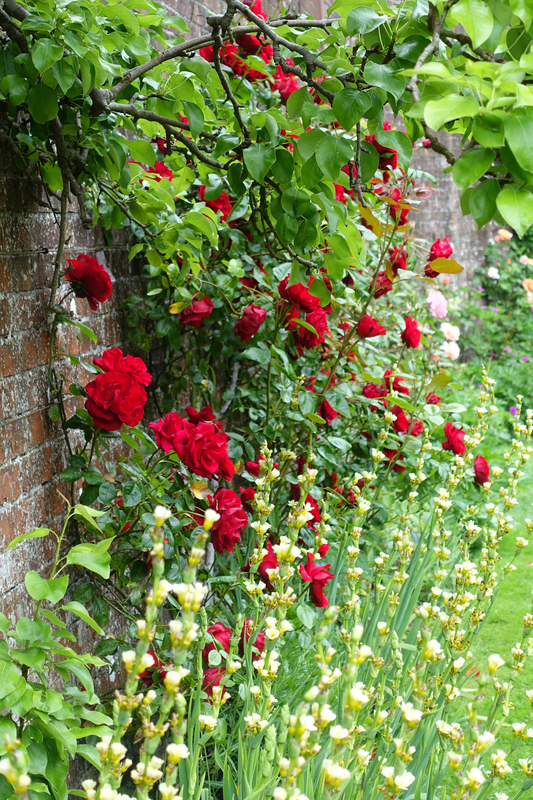 The rose garden at the house is at its best right now. The gardens, designed by Roger Linton and restored by an army of volunteers, gift us with space in the busyness of our modern lives, a generous punctuation mark – time to imagine and to be. Peter Thorogood and Roger Linton are deserving of our thanks. These generous custodians have always wanted to share St Mary’s with others and it is their intention that St Mary’s will remain accessible and at the heart of the local community for future generations. St Mary’s House and gardens are open to the public throughout the summer season on Sunday afternoons and Bank Holiday Mondays. For further details go to www.stmarysbramber.co.uk or telephone 01903 816205. The 2016 Steyning Festival provided the perfect prelude to the remarkable celebrations of Her Majesty the Queen’s official 90th birthday last weekend. 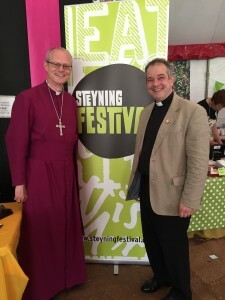 The festival was the largest ever held in Steyning. 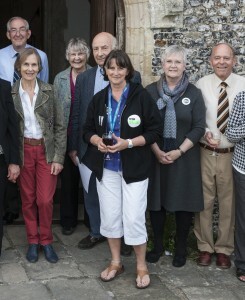 It represented three years of hard work by a dedicated team of volunteers under the chairmanship of Christine Aubrey. This biannual event gathered leading authors, musicians and artists. 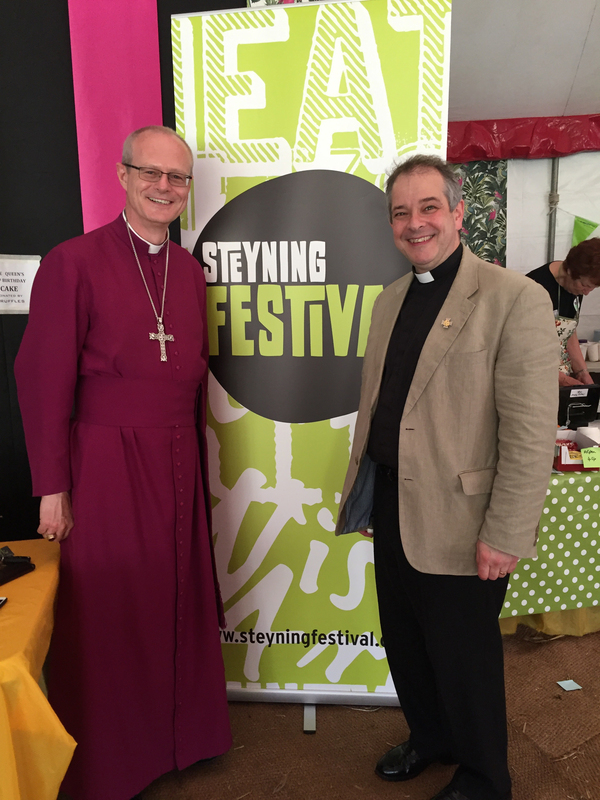 I asked Christine Aubrey what has been at the heart of her vision for the Steyning Festival. She replied “Bringing the community together – to provide something for everyone.” At moments of great celebration it is often the Arts which bring communities together. Sara Bowers and the Steyning Bookshop once again ensured a remarkable literary line up. The festival included Theatre Trails, walks on the Downs and the Art Trail. Star attractions included Craig Charles, Steve Knightley, Vince Cable, The Comedy Store Players, Frank Gardner, Alison Weir, Cressida Cowell and Steyning’s very own Julia Donaldson of Gruffalo fame! 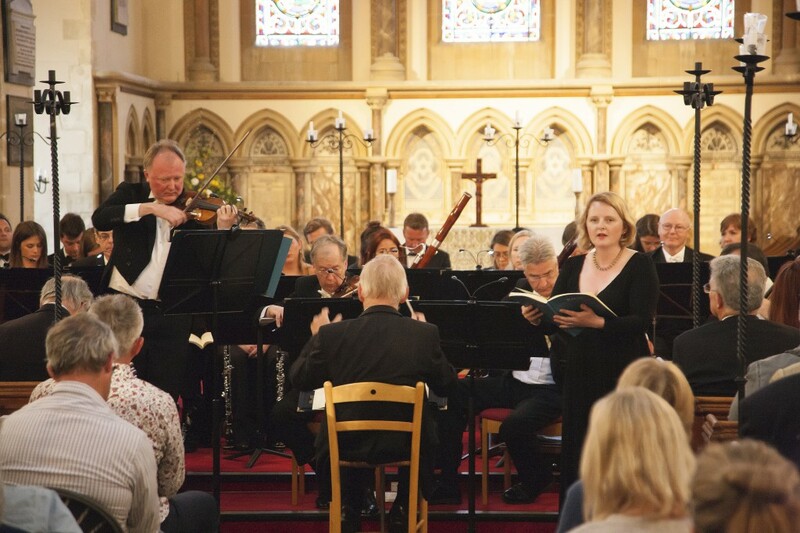 My own contribution was to bring the Steyning and Shipley Arts Festivals together with Steyning Parish Church to put on a performance of one of the finest classical works ever written, Bach’s Mass in B Minor. The Bernardi Music Group and The Choir of Our Most Holy Redeemer St Thomas More were conducted by David Bevan. This work is one of the greatest pieces of music in the Baroque canon. It was an exceptional performance which was both reflective and alive with great vigour and energy. It blessed the sell-out audience. It really was a fitting celebration of the Christian feast of Corpus Christi which marks the Institution of Holy Communion. Steyning Parish Church is at the heart of its community and this was reflected in the generosity of those attending concerts and events throughout the festival with some £2000 donated towards the tower restoration fund through retiring collections. Estimates for the urgent restoration are upwards of £150,000 and all contributions are most welcome. Her Majesty Queen Elizabeth II’s 90th Birthday was celebrated with a service of thanksgiving at Steyning Parish Church, led by the Revd. Fr. Neil Roberts. The Rt Revd. Mark Sowerby, the Bishop of Horsham, reflected on the role of the arts in bringing our community together and the richness with which they bless our lives. He spoke movingly of the Queen’s contribution to our nation’s life and identity. After the service Steyning’s community gathered outside the church and the Festival Big Top, on St Cuthman’s field, to celebrate the Queen’s 90th birthday with music and picnics. I was interested to know what the highlight of the 2016 Steyning Festival was for Christine Aubrey. She smiled and exclaimed “The pleasure of watching everybody enjoying themselves!” This generosity of spirit has been evident throughout this wonderful event and Christine Aubrey and her team of volunteers are deserving of our thanks and congratulations! This weekend the nation will come together to mark Her Majesty Queen Elizabeth II’s official 90th birthday. Up and down the land people will be engaged in street parties and watch events unfold on their televisions. The weekend celebrations begin on Friday 10th June with a service of thanksgiving at St Paul’s Cathedral. A fitting start as the Queen’s Christian faith has been one of the cornerstones of her life and reign and is central to her sense of calling to the position of monarch. It has given life to the qualities of service, respect and duty with which she has blessed us all. Our monarchs have often inspired our nation’s tastes through their patronage as well as their reigns. The first official photographs of HM Elizabeth II were taken on the 26th February 1952, just twenty days after her accession, by the English society photographer, Dorothy Wilding. Wilding’s photographs are striking in their simplicity. She often employed a plain white background, as in her portrait of the young monarch shown here. The backdrop ensures that our attention is entirely focused on the sitter. 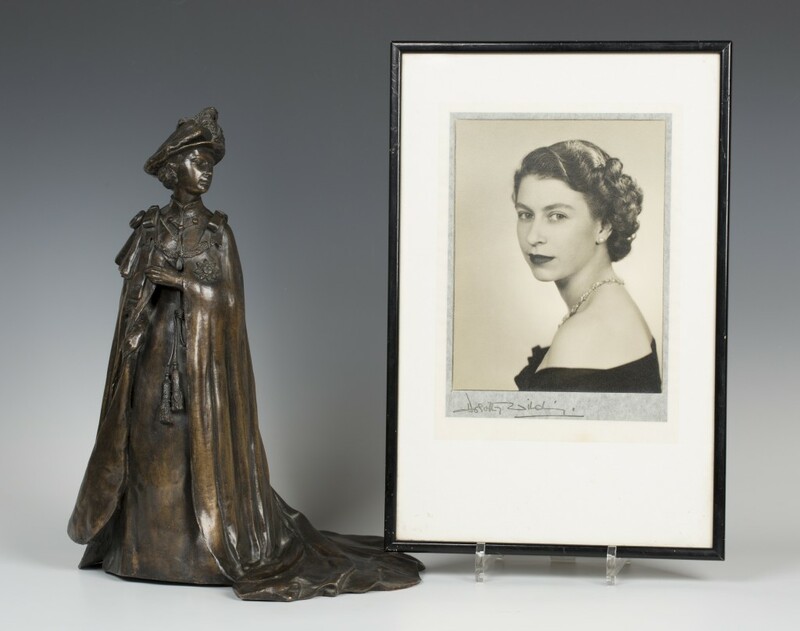 There is a timeless quality to the patinated, cast bronze figure of HM Queen Elizabeth II. It was modelled by Ronald van Ruyckevelt for Royal Worcester to commemorate the Queen’s Silver Jubilee in 1977. 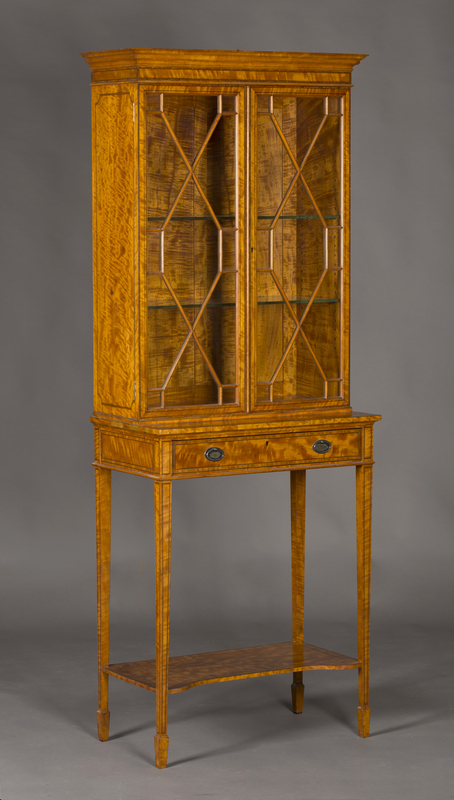 The Edwardian satinwood display cabinet-on-stand is an example of Royal patronage. It was manufactured by Queen Alexandra’s Carving School and was probably originally housed at Sandringham. It is marked with a manufacturer’s stamp and inscribed ‘From Sandringham’ to the inside of one of the doors. An accompanying letter from the Estate Office at Sandringham, confirms that the impressed mark on the drawer indicates that it was ‘constructed by pupils at Queen Alexandra’s Carving School’. 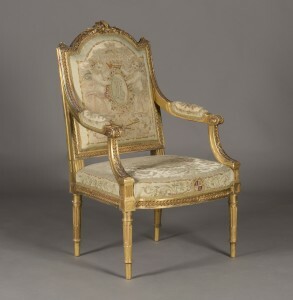 The Victorian giltwood open armchair of Neoclassical Louis XVI design is covered in Royal Windsor tapestry. It was given as a wedding present to Prince Leopold, Duke of Albany, Queen Victoria’s youngest son, and his bride, Princess Helen of Waldeck and Pyrmont. They were married at Windsor on 27th April 1882 and lived at Claremont near Esher, where the Duchess of Albany died in 1922. These wonderful objects form part of an eclectic single-owner collection to be auctioned at Toovey’s Washington salerooms on Tuesday 14th June 2016. They reflect the notable passion for British Royalty of a very private gentleman collector. The array of royal related pieces date from Tudor times to the present day. Information on the sale is available at www.tooveys.com. Our fascination with these objects reflects a love and gratitude for our Royal family and especially HM Queen Elizabeth II. In a recent interview with the BBC royal correspondent, Nicholas Witchell, Prince William spoke for many of us when he said: “The Queen’s duty and her service, her tolerance, her commitment to others – I think that’s all been incredibly important to me and it’s been a real guiding example of just what a good monarch could be.” We wish Her Majesty a very happy birthday, giving thanks for her continuing Christian life and example to us all. May God continue to bless her and her family. Lots 1401 to 1421 in our June auction of British and Continental Ceramics and Glass were consigned by the celebrated Sussex ceramics historian, the late Geoffrey Godden (1929-2016). Geoffrey was a keen supporter of Toovey’s and a friend to many of us here over the years. For more than fifty years he made an outstanding contribution to our understanding of the specialist field of British pottery and porcelain. Among his many publications is the Encyclopaedia of British Pottery and Porcelain Marks, which was first published in 1964 and remains in print today. 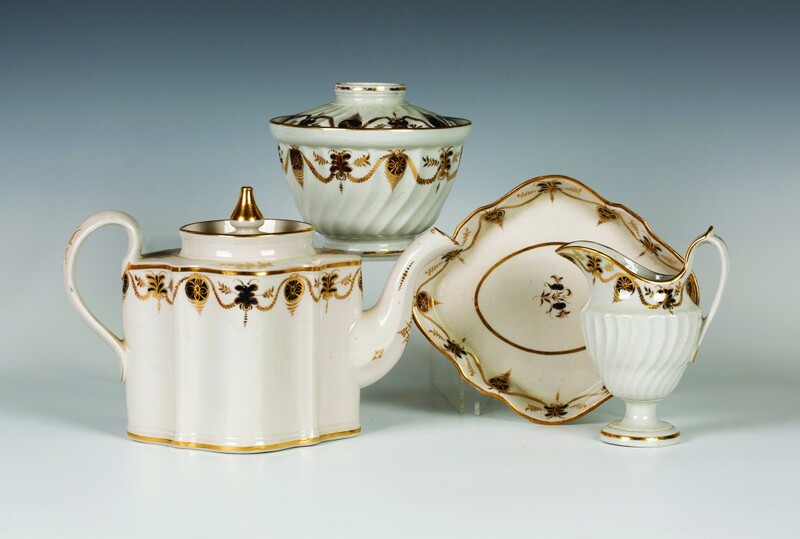 The opportunity to handle and own pieces from Geoffrey Godden’s reference collection comes at Toovey’s specialist auction of British and European Ceramics at 1.00 pm on Thursday 16th June 2016. For more information and to preview these lots, go to www.tooveys.com or telephone 01903 891955.